WHO WAS AT THE MARCH ON WASHINGTON? The March on Washington was a massive protest march that occurred in August 1963, when some 250,000 people gathered in front of the Lincoln Memorial in Washington, D.C. Also known as the March on Washington for Jobs and Freedom, the event aimed to draw attention to continuing challenges and inequalities faced by African Americans a century after emancipation. It was also the occasion of Martin Luther King, Jr.’s now-iconic “I Have A Dream” speech. In 1941, A. Philip Randolph, head of the Brotherhood of Sleeping Car Porters and an elder statesman of the civil rights movement, had planned a mass march on Washington to protest blacks’ exclusion from World War II defense jobs and New Deal programs. But a day before the event, President Franklin D. Roosevelt met with Randolph and agreed to issue an executive order forbidding discrimination against workers in defense industries and government and establishing the Fair Employment Practice Committee (FEPC) to investigate charges of racial discrimination. In return, Randolph called off the planned march. In the mid-1940s, Congress cut off funding to the FEPC, and it dissolved in 1946; it would be another 20 years before the Equal Employment Opportunity Commission (EEOC) was formed to take on some of the same issues. 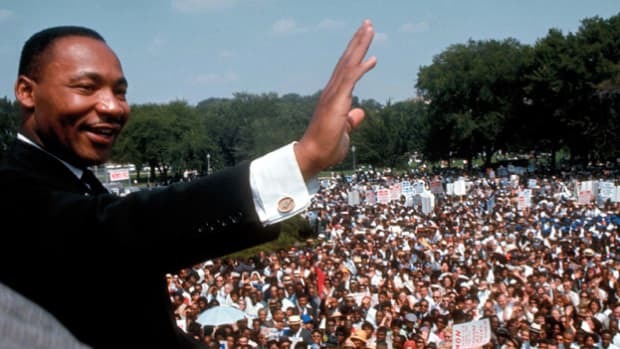 Meanwhile, with the rise of the charismatic young civil rights leader Martin Luther King, Jr. in the mid-1950s, Randolph proposed another mass march on Washington in 1957, hoping to capitalize on King’s appeal and harness the organizing power of the National Association for the Advancement of Colored People (NAACP). In May 1957, nearly 25,000 demonstrators gathered at the Lincoln Memorial to commemorate the third anniversary of Brown v. Board of Education ruling, and urge the federal government to follow through on its decision in the trial. In 1963, in the wake of violent attacks on civil rights demonstrators in Birmingham, Alabama, momentum built for another mass protest on the nation’s capital. With Randolph planning a march for jobs, and King and his Southern Christian Leadership Conference (SCLC) planning one for freedom, the two groups decided to merge their efforts into one mass protest. That spring, Randolph and his chief aide, Bayard Rustin, planned a march that would call for fair treatment and equal opportunity for black Americans, as well as advocate for passage of the Civil Rights Act (then stalled in Congress). JFK ended up reluctantly endorsing the March on Washington, but tasked his brother and attorney general, Robert F. Kennedy, with coordinating with the organizers to ensure all security precautions were taken. 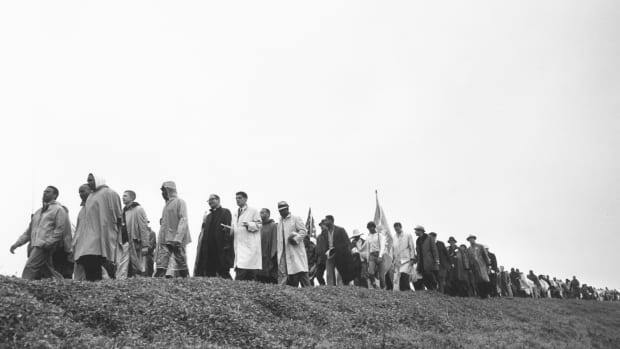 In addition, the civil rights leaders decided to end the march at the Lincoln Memorial instead of the Capitol, so as not to make members of Congress feel as if they were under siege. 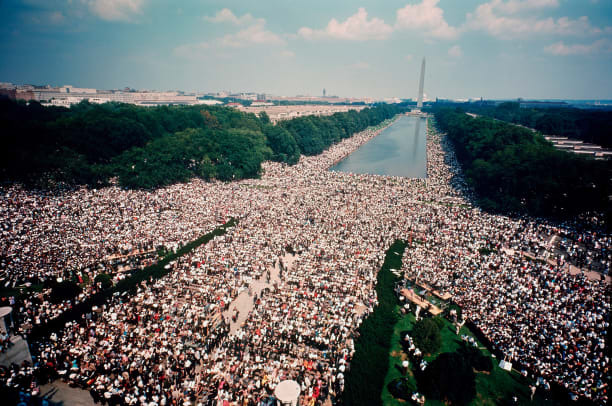 Officially called the March on Washington for Jobs and Freedom, the historic gathering took place on August 28, 1963. Some 250,000 people gathered at the Lincoln Memorial, and more than 3,000 members of the press covered the event. Other speakers followed, including Rustin, NAACP president Roy Wilkins, John Lewis of the Student Non-Violent Coordinating Committee (SNCC), civil rights veteran Daisy Lee Bates and actors Ossie Davis and Ruby Dee. The march also featured musical performances from the likes of Marian Anderson, Joan Baez, Bob Dylan and Mahalia Jackson. 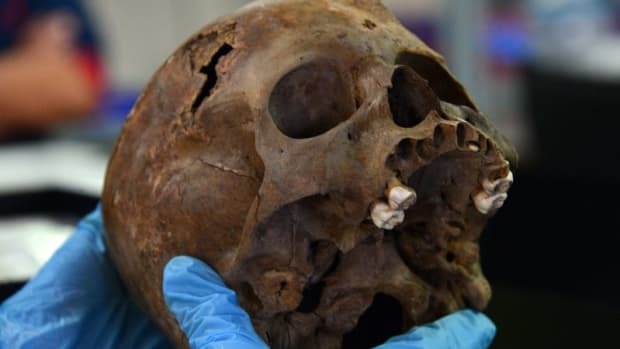 King agreed to speak last, as all the other presenters wanted to speak earlier, figuring news crews would head out by mid-afternoon. Though his speech was scheduled to be four minutes long, he ended up speaking for 16 minutes, in what would become one of the most famous orations of the civil rights movement—and of human history. 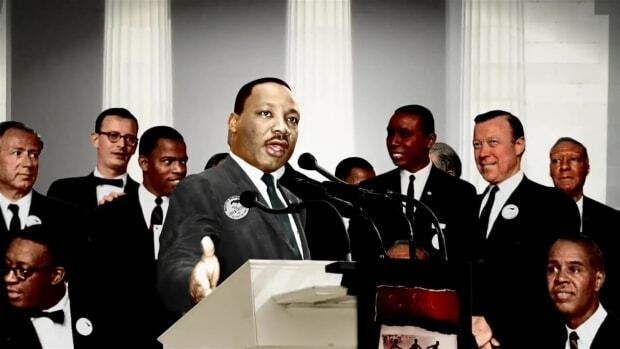 Though it has become known as the “I Have a Dream” speech, the famous line wasn’t actually part of King’s planned remarks that day. After leading into King’s speech with the classic spiritual “I’ve Been ‘Buked, and I’ve Been Scorned,” gospel star Mahalia Jackson stood behind the civil rights leader on the podium. 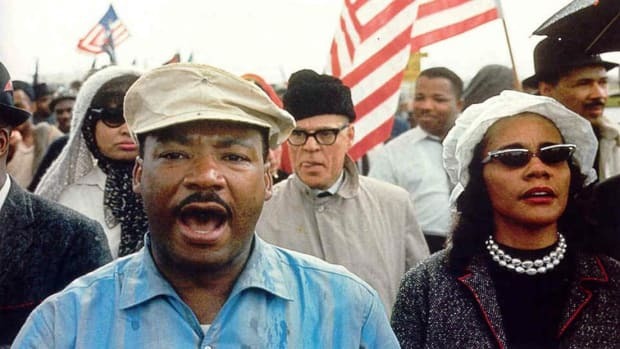 At one point during his speech, she called out to him, “Tell ‘em about the dream, Martin, tell ‘em about the dream!” referring to a familiar theme he had referenced in earlier speeches. 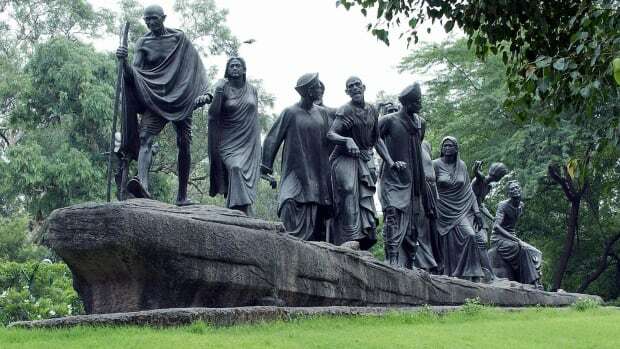 Departing from his prepared notes, King then launched into the most famous part of his speech that day: “And so even though we face the difficulties of today and tomorrow, I still have a dream.” From there, he built to his dramatic ending, in which he announced the tolling of the bells of freedom from one end of the country to the other. Kenneth T. Walsh, Family of Freedom: Presidents and African Americans in the White House. JFK, A. Philip Randolph and the March on Washington, White House Historical Association. 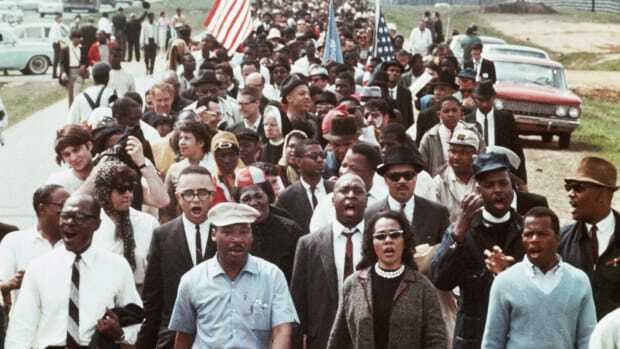 March on Washington for Jobs and Freedom, Martin Luther King, Jr. and the Freedom Struggle.